Gone are the days where I was one of the few doing write ups on Korean cars because I believed everyone needed to know what one of the largest automakers in the world was doing. Now, every spyshot, every new release, even renders are being done by all of the Automotive News and YouTube Recommendations sites. We have come a long way in two years. 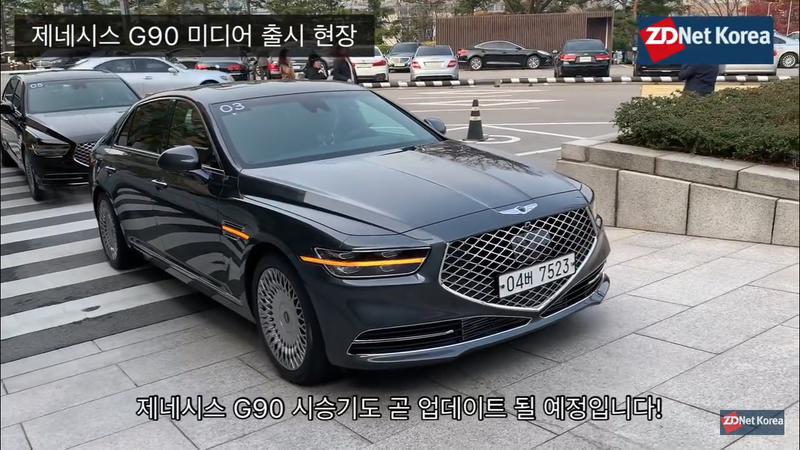 The refreshed Genesis G90 was unveiled, the grille is larger than my Aunt Ruth, and like every single car coming out of Korea... I could see myself living with it. Yes, even the cheap (yet pricey, yet somehow reasonable) stuff! Here is the promo, just skip around and see the G90 under operation rather than static. You know what this looks like? Yep, yes, and yeah! You know what else it looks like? It looks like it’s fig as buck and costing a nut. It has been a long time since I’ve seen a new sedan that looks more expensive than it’s price point. Thankfully, all big luxury sedans still depreciate like big luxury sedans. The only issue is that once these are half price in 36 months, there will be 5 other Korean cars that are cheaper brand new with the same tech and features or more expensive but makes that three year old Genesis look like a relic. The G70 just won Motor Trend Car of the Year. Good job, Genesis. Also, nice job on the light design (inside and out), the interior material updates, keeping the tech approachable, and camouflaging that sensor plate in the front. It's only the beginning for Genesis. Bring on that 2.5L, 3.5L, and the next run of products.